The 84-acre Silver Lake Recreation Area ("Silver Lake Park") is located at 1785 N. East Silver Lake Road. Amenities at the park include restrooms, grills, a tee-ball field, tennis courts, basketball courts, dog park, a sledding hill, and a multi-use field for playing catch, football, or tossing a Frisbee. Paved and unpaved walking trails are also offered. The paved trail loop surrounds the developed portion of the site and measures 3,700 feet long (seven-tenths of a mile). The unpaved trails, which meander around Hidden Lake and near the shores of the north branch of Silver Lake, total about 4,400 feet in length. There are three picnic pavilions at this park, which may be reserved and are popular for family reunions and company picnics. Pavilion reservations are available on a first-come, first-served basis for a nominal fee. Before submitting your Park Reservation Application, we recommend that you call us at 231-941-1620 to verify that the facility you would like to reserve is available. The Dog Park at Silver Lake Recreation Area is a huge success. There is even a Facebook Page to find out when your furry friend will be there to play. When using the dog park, please be sure to familiarize yourself with the park rules and help others to understand them as well. Please click here for a map of the dog park, and click here for dog park rules. Park Development Plan for Silver Lake Recreation Park. 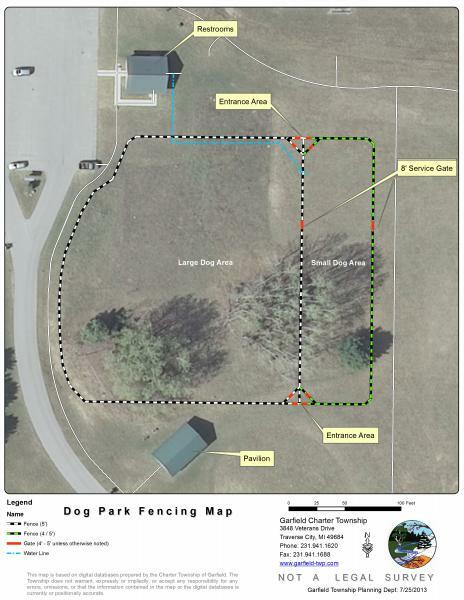 If you are on Facebook, there is an active dog park user group you may want to join.